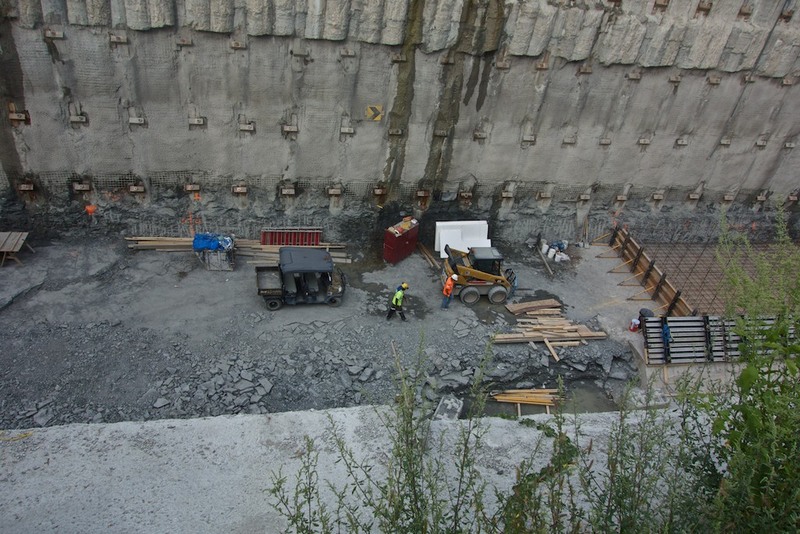 Weston tunnel continues to progress and is remarkably deep as the size of the workers in the photo shows. This view is looking north, just west of King. 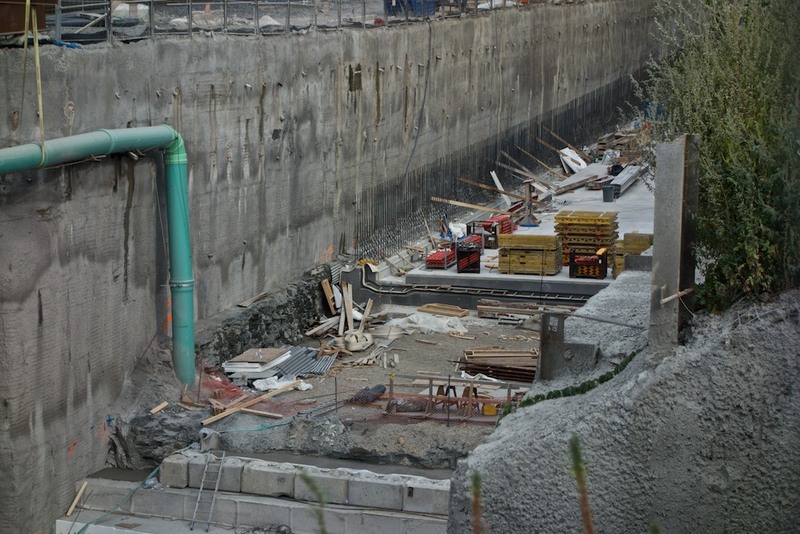 A layer of trademark Weston shale can be seen on the sides and floor of the tunnel. Looking further down, the finished floor on which the rail bed will be constructed is visible. Looking east down the tunnel. King Street is closed at this point. Metrolinx staff at the community office (44 King Street) conduct regular walking tours. The next one is scheduled on September 19th at 5pm, although groups can arrange tours at other times and dates by calling Rawle or Loretta at 416-241-2300. The starting locatioon at 44 King is easy to miss – it’s the trailer next to the tracks on the south side of King. King is expected to be put back together again partially (for south-west traffic) at the end of September and completely later on in the fall. More details here. does anyone know how long the train ride to the airport from weston station will be and how much? The ride from Weston Station to Terminal 1 should be about 10-12 minutes although the price, a subject of much conjecture, has yet to be set. The GO station is no longer on John; it has moved to just below Lawrence and fronts onto the east side of Weston Road. St. John’s school is being demolished and rebuilt. Probably over 20 bucks one way. If you have the time the Malton bus is a good way to get there.